Journey through the year with Richard Rohr, as he encourages us to drink deeply of God's love. With his great Franciscan heart wide open to the heart of the world, Richard Rohr seems to have a sixth sense about whats emerging into consciousness and where he is needed next ... What awaits you here is the integrated wisdom that emerges out of a life courageously and vulnerably lived. The Chronicles of Narnia, written by C.S.Lewis, are among the most memorable and treasured books in the English Language. And in the midst of these bestselling and beloved stories about adventures in a magical land are profound spiritual and ethical messages. 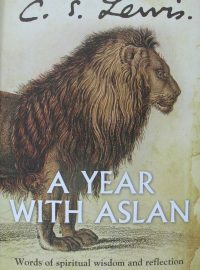 A Year with Aslan includes 365 of the most thought-provoking and poignant passages from all seven books in the series, and provides relective questions that get to the heart of what matters most. Good and evil, success and failure, love and hate, hopelessness and redemption - all the great themes of human nature are covered in this timely and inspiring new book. 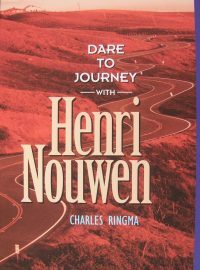 Centring on the writings of Henri Nouwen, this book has 180 extended reflections on 20 themes written as a set of "conversations". Charles Ringma's collection leads the way to a place of intimacy with the God who loves and sustains. Equipped with these resources, people find courage to continue their journey and the strength to serve our world. Dietrich Bonhoeffer's faith-driven resistance to the Nazis during World War II resulted in his execution. Multitudes have been inspired by the hauntingly powrful words of this man who was willing to die for his convictions. 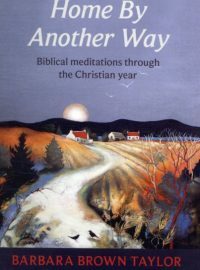 In this collection of 365 meditations Dr Charles Ringma allows us to experience the power of Bonhoeffer's words in a way that challenges us to live out our discipleship daily - combining personal spirituality with an active concern for those around us. These daily meditations on Bonhoeffer's writings may make you uncomfortable. 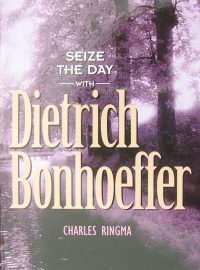 But if you are willing to wrestle - as Bonhoeffer did - with what it means to be a follower of Christ, you'll be empowered to seize each day. Common Prayer Pocket Edition helps today's diverse church pray together across denominations. With sensitivity to the particulars of various liturgical prayer traditions, and using an advisory team of liturgy experts, the authors have created a tapestry of prayer that celebrates the best of each tradition. 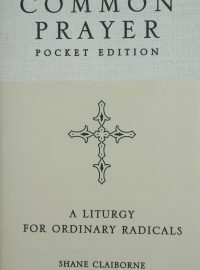 As a condensed version of the original Common Prayer, this convenient and portable book provides the perfect companion either for group prayer or for those who are away from their spiritual community and desire to remain connected through the beauty and depth of Christian liturgy. Like the original edition, this pocket edition features prayers for morning, midday and evening, and commemorates significant dates and heroes in church history, as well as important people and events in the struggle for freedom and justice. This edition also features new compline prayers and provides prayers for those who travel and are away from their family and church community. The life stories of the Celtic Saints are inspirational. They demonstrate great and unassuming faith, often in the face of insurmountable difficulties. 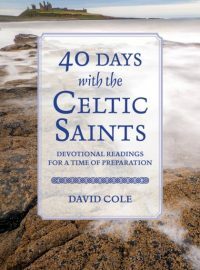 In 40 Days with the Celtic Saints, David Cole draws us to relate our own life journey and developing relationship with God into the life story of the Celtic saint of the day. A corresponding biblical text and blessing encourages and motivates us to transform our lives for today's world in the light of such historic faith. A Daybook of Wisdom and Faith. 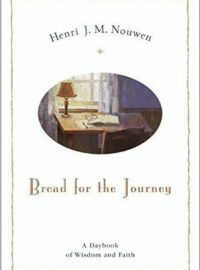 A reading for each day of the year taken from the writings of Henri Nouwen. Written by one of the world's greatest preachers, this searingly beautiful sequence of meditations explores the power of God's word to heal the soul and mend a broken world. Barbara Brown Taylor practices the old-fashioned art of gospel home remedies, drawing strength from biblical stories that can help us confront our weakness, revive our spirits and restore us to lasting wholeness. Recently voted one of the world's top ten contemporary spiritual sages, Barbara Brown Taylor is Professor of Religion and Philosophy at Piedmont College, Georgia. Her previous books include An Altar in the World and Home by Another Way. Written by one of the world's greatest preachers, these insightful meditations began their life as beautifully crafted sermons that explore the meanings of the major seasons and holy days of the Christian year. 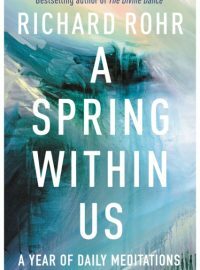 Reviewer Lucy Winkett, Rector of St James's Picadilly, writes: "This is a deeply compassionate book that takes seriously what it's like to live in the world now, while holding out the scriptural hope of a life not yet imagined. 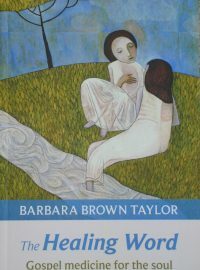 Barbara Brown Taylor tells new parables that reveal meaning in everyday holiness, and the thoroughly human states of confusion, suffering and joy of which she is keenly aware.This book is for all who want to believe but can't quite get there, or for those whose jaded spirit needs a long cool drink at a freshwater spring. Reading these reflections is like being drenched in grace." Recently voted one of the world's top ten contemporary spiritual sages, Barbara Brown Taylor is Professor of Religion and Philosophy at Piedmont College in Demorest, Georgia. Her previous books include An Altar in the World and Leaving Church. 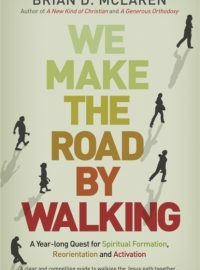 We Make the Road by Walking is a year's worth of reflections on the Bible. Working with the framework of the church year, they provide a Genesis-to-Revelation overview of the Bible that can be used in a number of ways: a year of church services, a year of weekly dinner-dialogue gatherings, a year of classes or online interactions, a series of retreats, or simply a rich reading experience. Brian McLaren explores what it means to be alive in the way of Christ - reading, praying, meditating, discussing and acting our way through God's word to us, the Bible. For men, pain is very real. So is the power to transform it. In one of the opening meditations of this book, male spirituality expert Richard Rohr writes, "We need to fail, to fall, to jump into the central mystery of our own existence, or we'll have no way of finding our true path." Those words serve as the starting point for a potentially transformative experience, one in which men come to grips with the fact that some form of suffering or letting go is essential to achieving wholeness, holiness, and happiness. With nearly every man dealing with some form of hurt in his life, On the Threshold of Transformation acknowledges the pain and deals with it directly and redemptively. While much of our culture today would have us believe that failure and suffering are inherently bad, Fr. Rohr helps men see that pain--in whatever form it takes--is a primary doorway through which they can pass to reach their authentic, best selves, which is where they will truly encounter God. 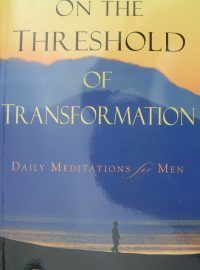 Ultimately, this book of 366 daily meditations helps men learn how to transform their pain so they don't pass it on. With Fr. Rohr as their guide, the path to male spiritual transformation can be found and followed. The Gospel in the Willows comprises 40 daily readings and meditations which may be used through Lent or any other period of the year. 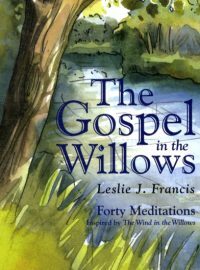 'Leslie Francis has achieved a most original and enchanting book by drawing out the wisdom embedded in Kenneth Grahame's classic, The Wind in the Willows, and weaving it into a profoundly Christian pattern which glows with spiritual truths simply expressed.